Yes, you have to set your goal. This is an old school, and I believe you know why you need to set goals, right? Goals do not only help you to stay focused in what you do, if your goals are excited, they can even propel and drive you into action. If there is one thing that can make you successful, I’d say it is goal setting. This is how important goal setting is in our life. So make sure you know what you want to achieve and you have a goal before you sleep tonight. Another old school success factor. Nothing is going to automatically in our life, you have to take action and make things come true. If you just think about wanting to become a millionaire but you did not actually take the necessary action, nothing is going to happen. Just like after you read a wealth book that teaches you how to make money, if you did not apply the techniques in that book, you will not be rich. Even if there is a magic button that can make you a millionaire, you still have to move your hand on to the mouse, and hover the mouse cursor over that button and actually click on it. So remember, it is action that determines you great success. Even if you are lazy, take a few small steps that will lead you to what you want every day, this way, you will slowly move toward your goals. A lot of people want to be successful, they want to be rich,they want to be financially independent. However, only a small percentage of them achieved what they want. This is because this small percentage of people are truly the one that 100% committed to achieve their goals. They will do basically everything to achieve great success in their life, within moral and ethics of course. I know that you want to be successful. The question now is, are you 100% committed to success? Will you do whatever it takes to make your dreams come true? The more comfort you are, the more resist to change you will be. If you truly desire great success, you have to stay away from your comfort zone. The feeling of staying in your comfort zone is nice, but it will not bring you the things that you want in your life. I know that relaxing and enjoying are great, but they will not bring you amazing result. Think about it, watching television and chatting online are fun, but will you be rich this way? Will you achieve what you want this way? So stay away from your comfort zone. If you are in your comfort zone, you will never achieve what you want in your life. No matter how hard life seems to be, don’t give up and give lousy excuses by blaming other things. If you fail to make more money, don’t give up and don’t blame the economy. The moment you give up, you will lose a lot of your effort which you have put in before. So no matter how hard it is, no matter what kind of obstacles you face in your life, cope with them and overcome them. Let me tell you this, every problem or question arises has a solution, if there is no solution for it, it is not a problem. Why someday you feel motivated and why some of the day you feel like boring and no energy at all? You have to learn how to motivate yourself, develop the momentum and how to keep that momentum going. Motivation is not a skill, you have to do it everyday. 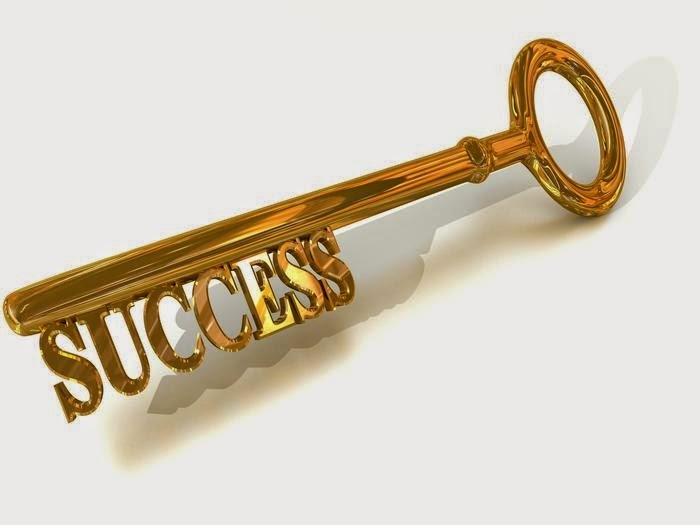 This is the best way of achieving great success in your life. Success will not come without failure. Mark my words, you will have to fail a lot of times before you can achieve what you want in your life. In fact, it is the failure that will bring you to your success. It is the failure that will tell you what went wrong and you should change your strategies. So don’t worry in taking more action, aggressive action. You will fail no matter how clever or how lucky you are. Therefore, don’t worry about it, just take all the action and do it all out. You will find the right path to great success in the end. Once you have taken massive action, there are only 2 outcomes, you either achieve what you want, or you fail to achieve it. So, it is just a matter of dealing with the outcomes. Well, most of the time you will fail because great success will not come the first time. Thus, the moment you fail, take the responsibility and tell yourself that you are using the wrong approach and the wrong strategies. Next, come up with new and better strategies, and go all out again. If you are not responsible and you start complaining or blaming others, you will never change because you are letting go the power to change on others. Hence, learn to be responsible in everything you do in your life. Spend at least 30 minutes reading self-improvement materials everyday. You have to constantly improving yourself if you want great success. Only by constant and never ending improvement, you will keep yourself prepare and motivated throughout your life. By doing so, you will keep yourself driven all the time and you are developing your mind so that you will be ready for greater success. You have to be balance to yourself. After you have taken massive action, spend some time to enjoy and relax. Once you have achieved some of your smaller goals, reward yourself, get one day off, go for a movie, go for spa and enjoy seriously. Yes, you have to be serious in enjoying your life as well! And the most important thing, DO and APPLY them in your life, don’t just read about them, use them!